Kiwis, named for their resemblance to the brown, fuzzy bird found in New Zealand, are a delicious, versatile fruit. Rich in vitamin C, potassium, fiber and antioxidants, this small fruit offers a lot of benefits. Kiwi fruit are delicate, but with proper selection, storage and preparation, kiwi fruits will maintain juicy, tangy consistency for several weeks. To enjoy a kiwi right away, select a fully ripe fruit. 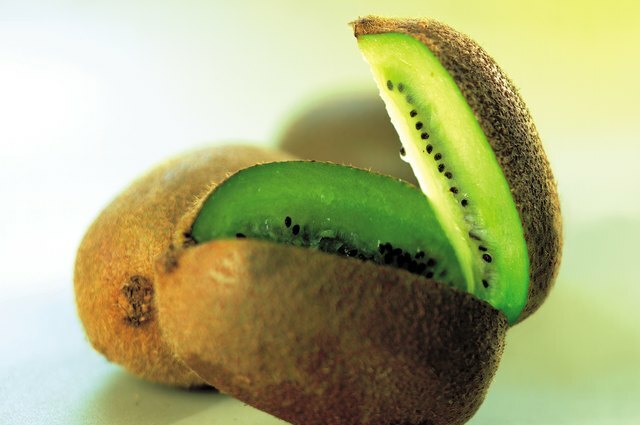 Look for kiwis with smooth skins free of bruises and scars. Hold the kiwi in your hand and gently press the skin. A ripe kiwi's skin will give slightly, whereas under-ripe kiwi feel firm. Kiwi fruits come in a variety of sizes, and all sizes have the same taste and texture. Ripe kiwi fruits will last one to four weeks in the refrigerator. 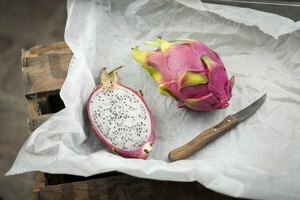 Firmer, under-ripe fruits can be stored at temperatures of 65 to 70 degrees C (18.3 to 21 degrees C) for up to eight weeks. Firm kiwis can also be stored in humidity-controlled commercial refrigeration and packaging for up to 10 months, allowing consumers to enjoy kiwi fruit year-round. Kiwi fruits are best enjoyed at the peak of ripeness. To ripen a firm kiwi, place it in a vented plastic bag with a green banana. The gases emitted by the banana will cause the kiwi to ripen within 24 to 48 hours. Check the kiwi's firmness at after 24 hours to prevent the kiwi from over-ripening and turning mushy. Kiwi fruits are delicious when eaten on their own or mixed into a fresh fruit salad. 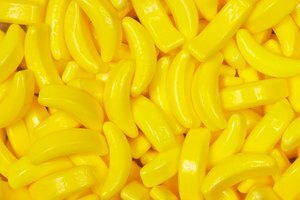 They are also used in pies, cakes and puddings, and juiced to be added to beverages. 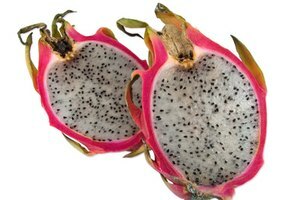 The entire fruit is edible, including the peal and seeds. To open a kiwi, rinse the outside and slice the fruit in half lengthwise, then scoop out the flesh, or slice the kiwi in rings, leaving the nutrient-rich peel intact.